Maybe your job entails standing for nine hours straight, or you're planning a vacation where you'll be on foot every day. Modern insole technology has worked wonders to take the edge off of foot pain, and the right pair of insoles can transform even stilettos into genuinely comfortable footwear. To make the most of your current shoe wardrobe (or to justify that upcoming purchase of sky-high boots), here’s our painless guide to seven of the best insoles for shoes. We love the honeycomb design of these uniquely configured gel insoles, which promote good posture and stability while cushioning both the heel and forefoot. For those with a closet full of Louboutins, insoles made specifically for high heels are essential. The shape of these insoles is ideal for a range of styles and offers extra support for the ball of the foot. For the best insoles for shoes that are made to get the job done, these offer excellent arch support and help support heels for better posture in boots and athletic shoes. If you’re looking for the most top-of-the-line insoles, few products can compete with the specificity or aesthetics of Wiivv. Simply download the app, snap a few pictures of your feet, and get your custom 3D-printed insoles in record time. If you suffer from foot pain regularly insoles, can be a dream come true. Some of the best insoles for shoes come from ViveSole, whose inserts are ideal for flat feet and high arches. Ideal for flat sneakers and slip-ons, these insoles offer a durable foam base and flexible arch support for a broad range of shoe styles and foot shapes. 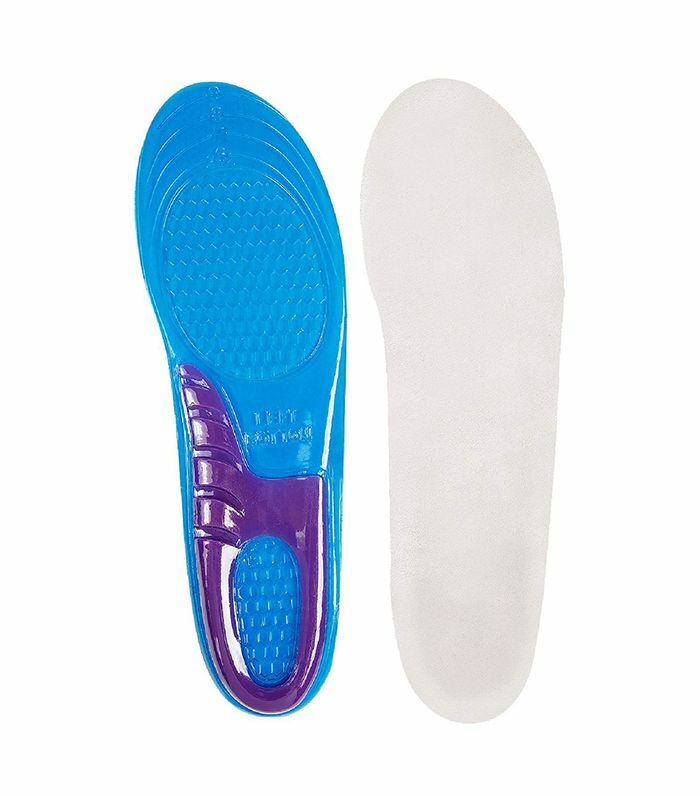 These gel insoles are made from lightly textured silicone so they're both flexible and slip-resistant. An added bonus is that they’re clear, making them an ideal fit for a range of heeled dress shoes and boots. Read on for eight of the best sprays to waterproof your shoes.